This is the result with a third identical coffee table added. 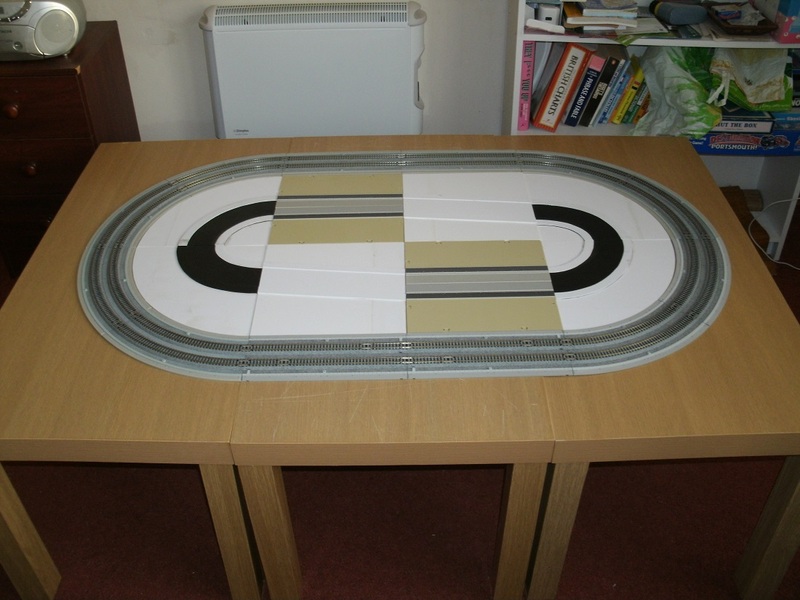 If I fabricate extra 248 x 124 mm styrene road sections, I could expand the oval by 124mm, length- and width-wise. 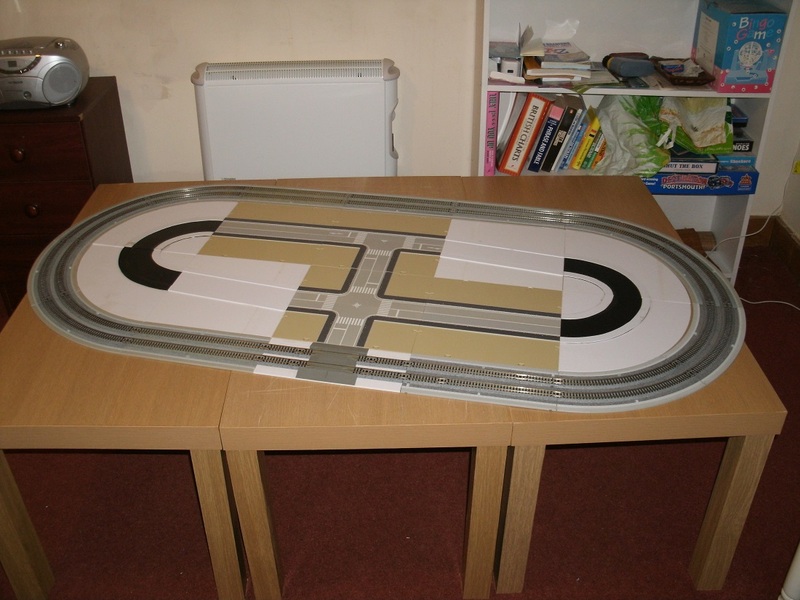 As a trial, I extended the straight sections by 248mm. It means the outer circuit overhangs the edges of the joined up tables, unless I separate them out a little. 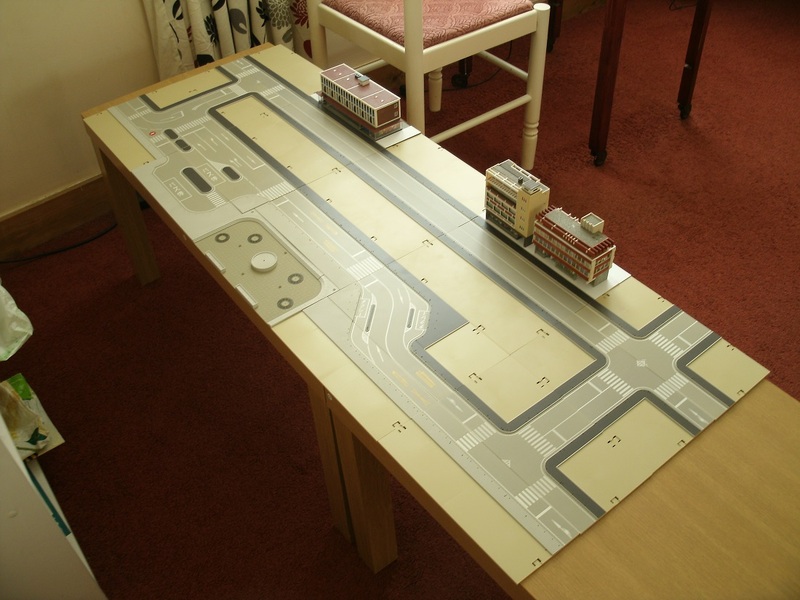 However the street layout looks much better and I can even consider adding station platforms suitable for a 2-car DMU! in my year group I knew around 100 ex-junior school pupils and about 300 ex-secondary school pupils - with very few overlaps, not forgetting teachers - I've no shortage of ideas for naming structures, etc. there'll be quite a few interesting named projects announced on here! 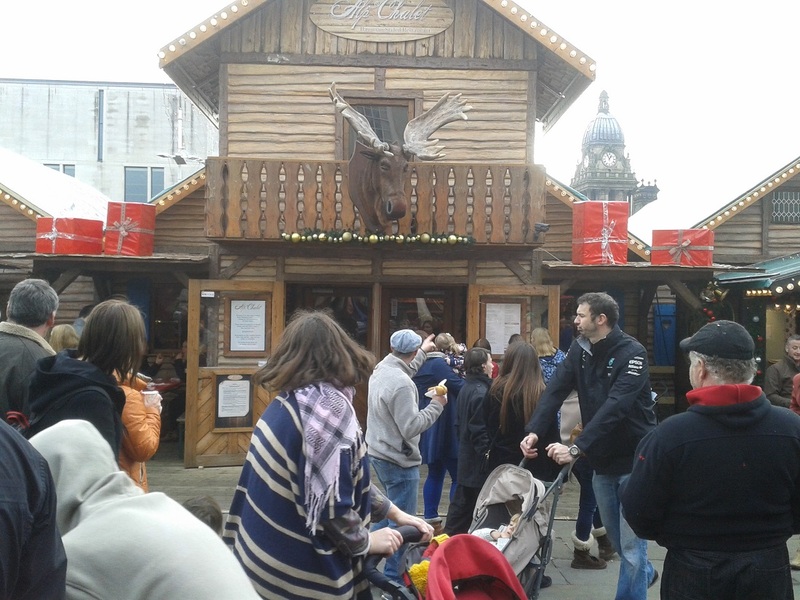 I've turned my attention to Southgrove's town centre. Sometimes I may emphasise the urban scene at the expense of railways. or a strip mall, based around surplus clear Dapol and Farish plastic boxes. 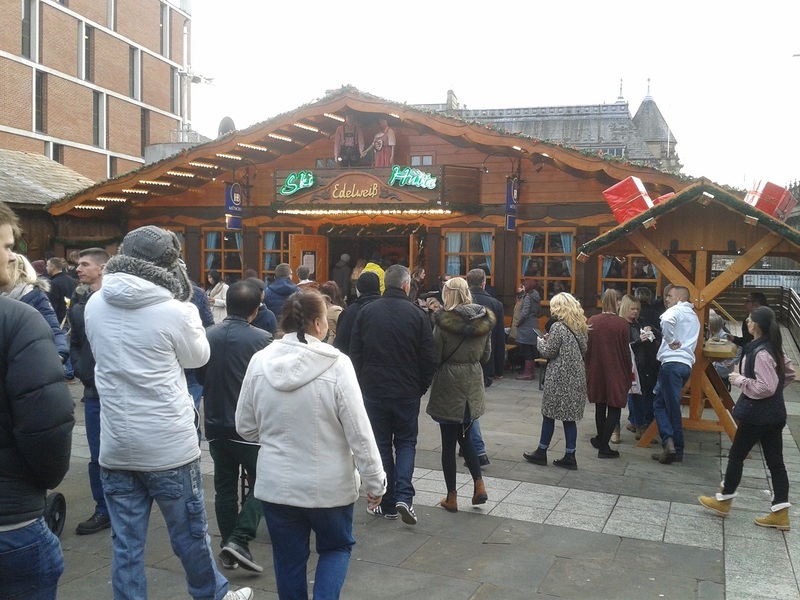 A week or so ago I visited Leeds' German Christmas market and spotted two temporary bar/restaurant structures, one of which I might fancy modelling to represent an imagined gift from a fictitiously-named German locality twinned with 'Southgrove' ... wonder if any are produced by Faller, Vollmer, etc?? 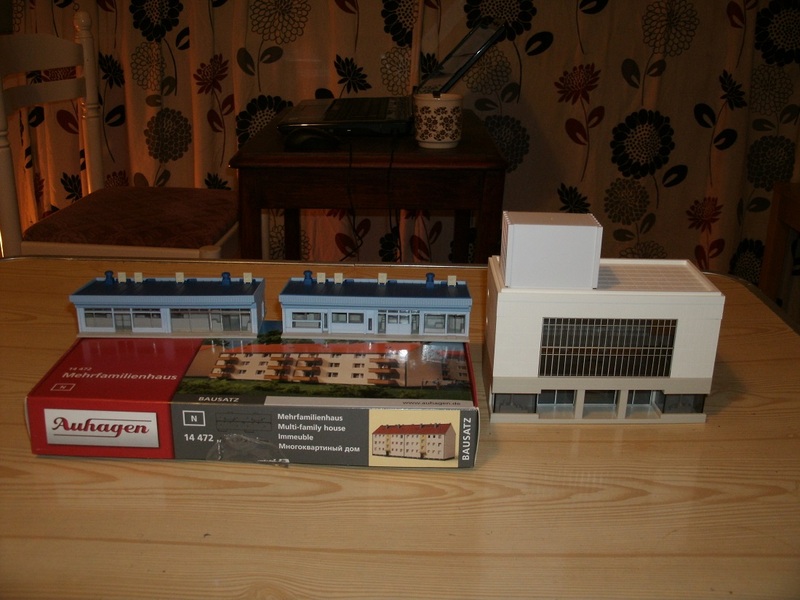 Bought two Lilliput Lane's "Full Steam Ahead" painted stonecast structures of an art deco style cinema and a classroom block of a comprehensive school. 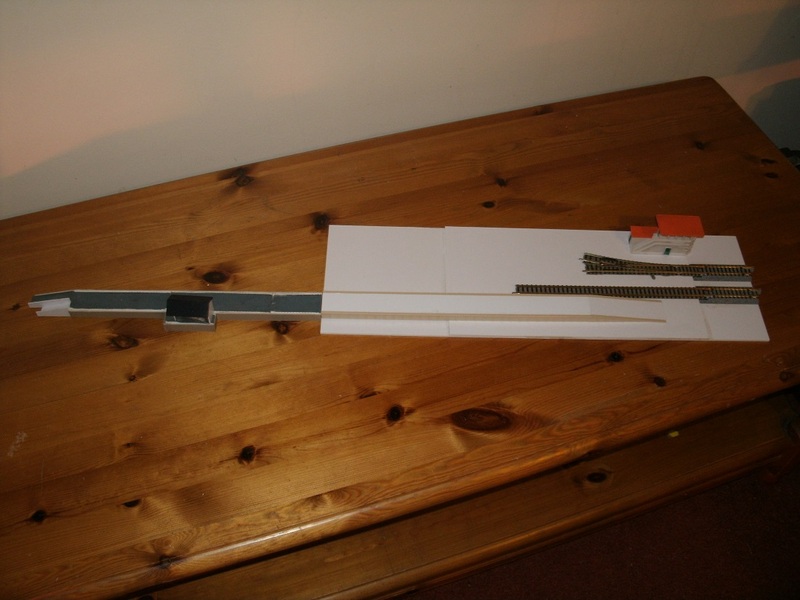 As up to now, Southgrove hasn't had any sidings or fiddle yards, so I'm constructing a pair of 496 x 155 mm styrene modules featuring loops - I haven't decided whether to quadruple the tracks on both modules or keep one side clear for a platform or other structures. I'm incorporating Fleischmann Piccolo's track and points because they were considered too good to dispose of and their points' track geometries are smaller than Kato's, however they required 2.5mm packing to match the track height of Kato. 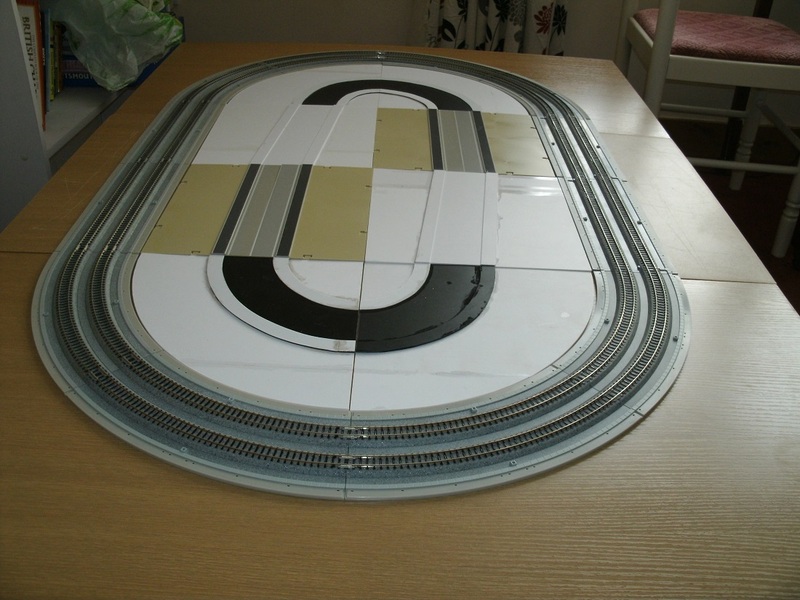 Sod's law dictates that you don't have all the parts in stock when you need them so I've had to place an online order for extra Kato track for delivery after Xmas! I've decided on having a station with goods yard, representing the Southern Region from the rail blue era onwards. The modules will consist of two 496 x 155 mm sections joined together, rather than one long module that would otherwise be awkward to store. I'm pretending the SR rebuilt half the ex-LSWR platform with concrete sections and added their Exmouth Junction concrete fencing and a signal box. Most parts have been reused from previous efforts including "Fisherlea". 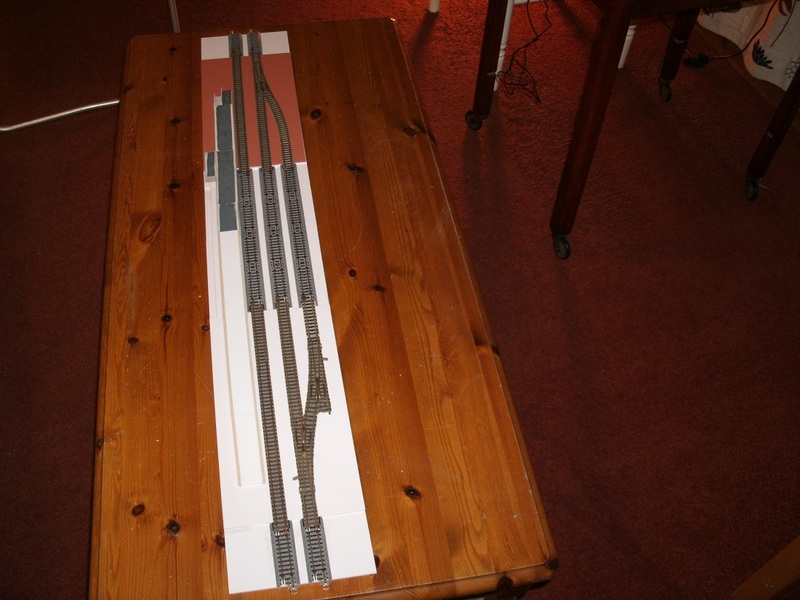 The platform will take a 4-car Mk1 design EMU, a loco + 3 Mk1s or their modern equivalents. I'll have running sessions based on which prototypes in my collection were in service, based on five-year sequences, e.g. 1983 omitted as there was so little variation from 1978 - certainly in the area of the Southern Region (Portsmouth) I'm interested in. 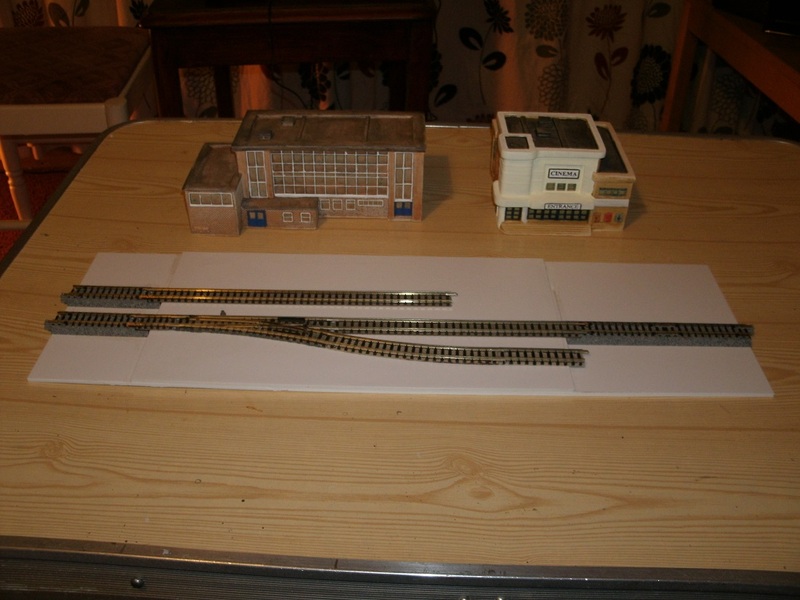 Work's progressing on my single platform station with yard. 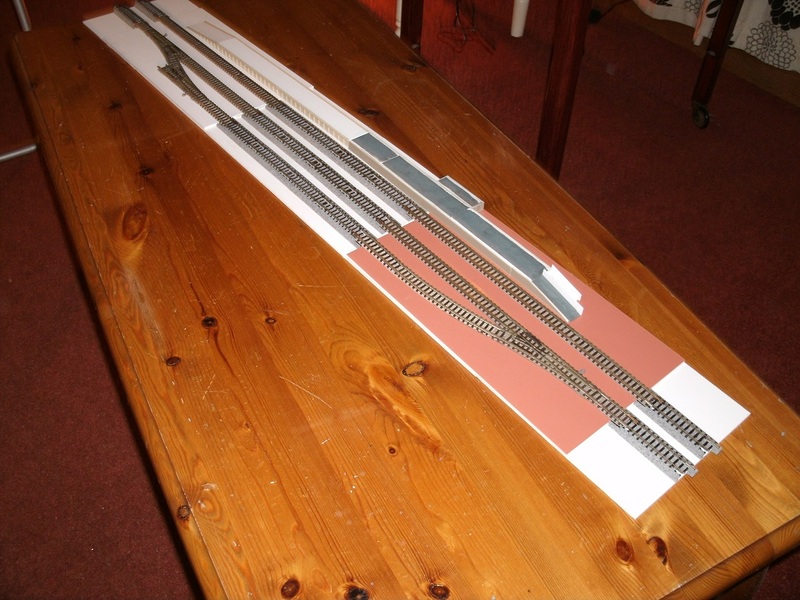 The raised areas are styrene packing to accommodate the difference between Kato and Fleischmann track, some of which I've had specially to cut to fit, and the use of Farish and Peco platform sections. 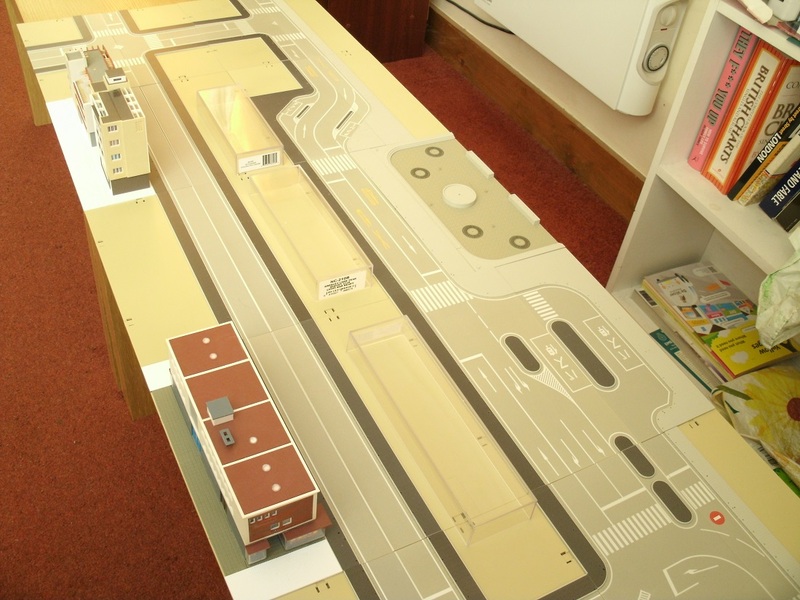 The station is split into two 496 x 155 mm sections to make storage easier. I'm watching with interest. You seem to have a lot of ideas and starting modules. 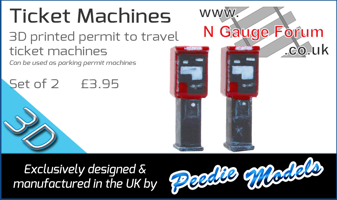 It all looks as though it will be an extremely versatile layout. I await developments. Great stuff. Looking forward to more of the build, especially so as having Pompey connections and being a fan for 40 odd years. I don't model UK but there is an EMU in my local model shop (from the 80's era I think) that reminds me of going down to Fratton Park with my late dad. Will buy it one day when funds allow for sentimental reasons (might have been sold as apparently hard to come by). Third rail EMU in Spain and France. That'll get the anti Rule 1ers a talking! Did think about building a *very vague* representation of the former Tricorn centre in Portsmouth, as an example of Brutalist concrete architecture - which is very rarely modelled - but even that would take up too much room! I can't own too many modules because I won't have enough room to store them, let alone display them on all on one layout. Page created in 0.22 seconds with 39 queries.